Saturday dawned crisp and clear and a good crew headed out to Waianiwa to kick off the Cycling Southland Winter Road Series with a 20km Time Trial. An awesome evening of racing took place on Friday 29 June 2012 at the first Baxter and Neilson event of year in the eight event series writes Junior Track Convenor Marie Muhl. Sport brings communities together. But it wouldn’t happen without the army of volunteers doing their bit. Here's your chance to let our many wonderful cycling volunteers know their efforts have been noticed. 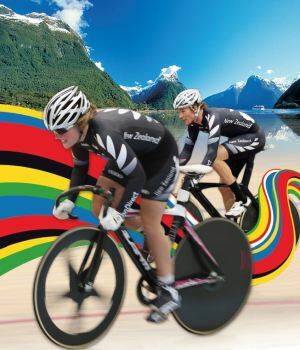 Cycling Southland's Sophie Williamson and Dylan Kennett of Canterbury impressed with podium finishes in their first race on their American buildup to August's UCI Juniors Track World Championships in Invercargill. In today's business world, companies have to be quick to react, flexible and have the ability to act decisively and with speed. Now, I’m not talking about how they operate 9 to 5! I'’m referring to the 2012 version of Cycling Southland'’s Harrex Group Corporate Pursuit writes Chief Executive Nick Jeffrey. After a very successful National Championships and World Championships this year I was selected as a non-traveling reserve for the London Olympics. My role being the backup “lead out” rider in the Team Sprint, while also working on developing other areas of my cycling to build toward future World Championships, Commonwealth Games and ultimately the 2016 Olympics. Rock and Road Cycles in Alexandra have a John Greener handmade wheel clock that they are auctioning off to raise money for Liam Aitcheson, Sophie Williamson and Tom Vessey for their trips away. With more than $9000 worth of build-up campaign expenses to raise, you too can get behind Liam and Sophie's fundraising efforts as they prepare for the 2012 Junior Worlds. 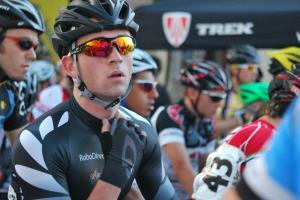 Southland rider Cameron Karwowski made an audacious attack for glory on the streets of New York in the annual Harlem Skyscraper Criterium today. There was some fast and fierce competition on the track at this week's Tuesday Race Night with great numbers down at the track for both Junior and Senior racing. On Friday night I was lucky enough to host the ILT Southland Sports Awards. It's the second year I've had the privilege to be officially involved with a night that recognizes the outstanding performances by Southland's premier sporting talent writes Chief Executive Nick Jeffrey. We are very excited to announce that the well-known and well respected Baxter & Neilson Junior Omnium series kicks off next month, catering for both males and females in the Under 13, Under 15 and Under 17 grades. 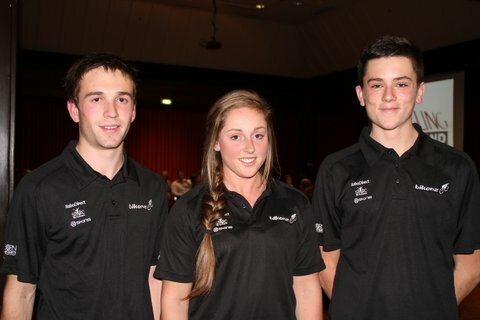 On Thursday night Cycling Southland held a Send-off Function for our Olympic, Paralympic and Junior Worlds cyclists. From this week our crop of talented bike riders start the next phases of their respective campaigns with pre-competition training camps as they scatter around the globe.